How to subscribe to DashThis? We’re stoked that you want to become a member of the Dash-Family! Awesome! How about we do the last steps to complete your subscription together? I’ll show you how to subscribe to a plan from a trial account! Ready to bring your reporting habits to the next level? Set… go! 2- On the panel that appears, click “Subscribe”. 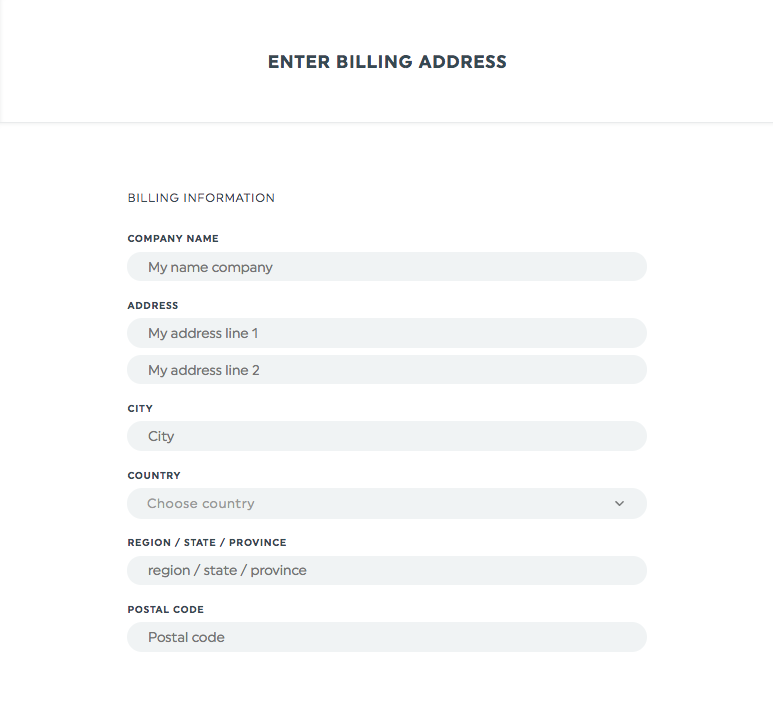 4- You then have to fill the form with the billing information. Done? Cool! Click “Save”. 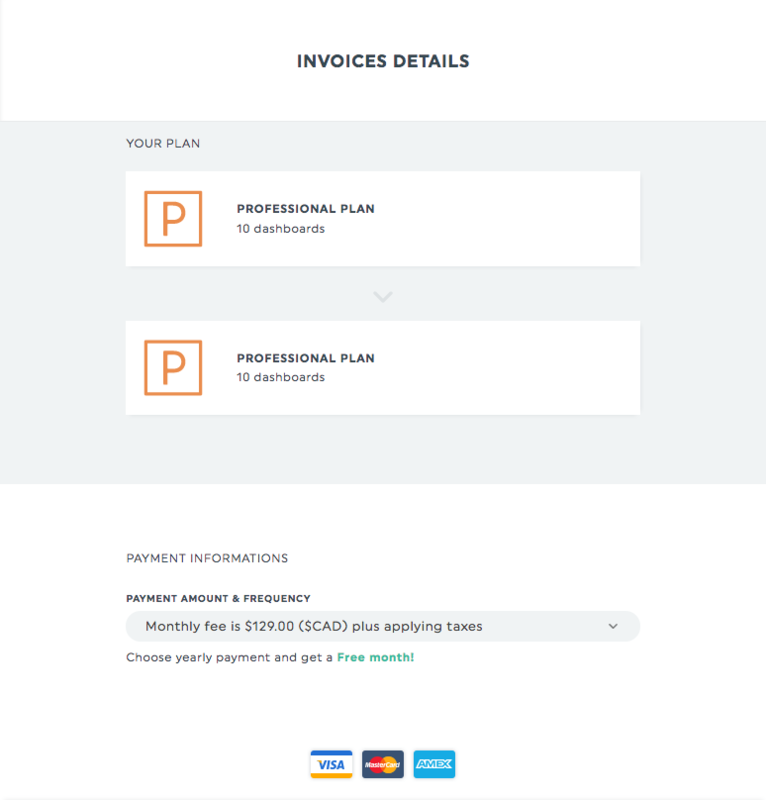 5- You then land on the Invoices Details page. 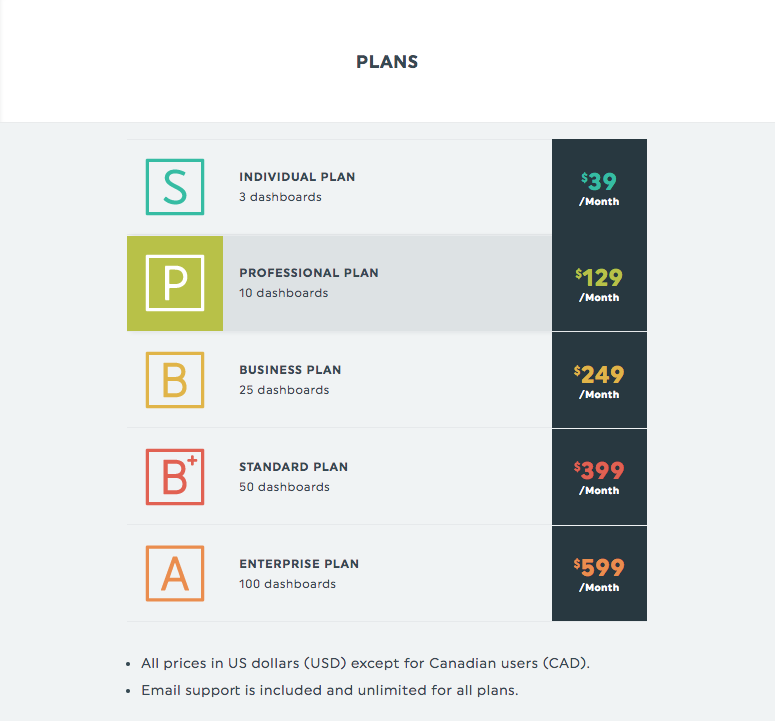 The first section displays the transition from your free trial (which is actually a professional plan) to your new plan. 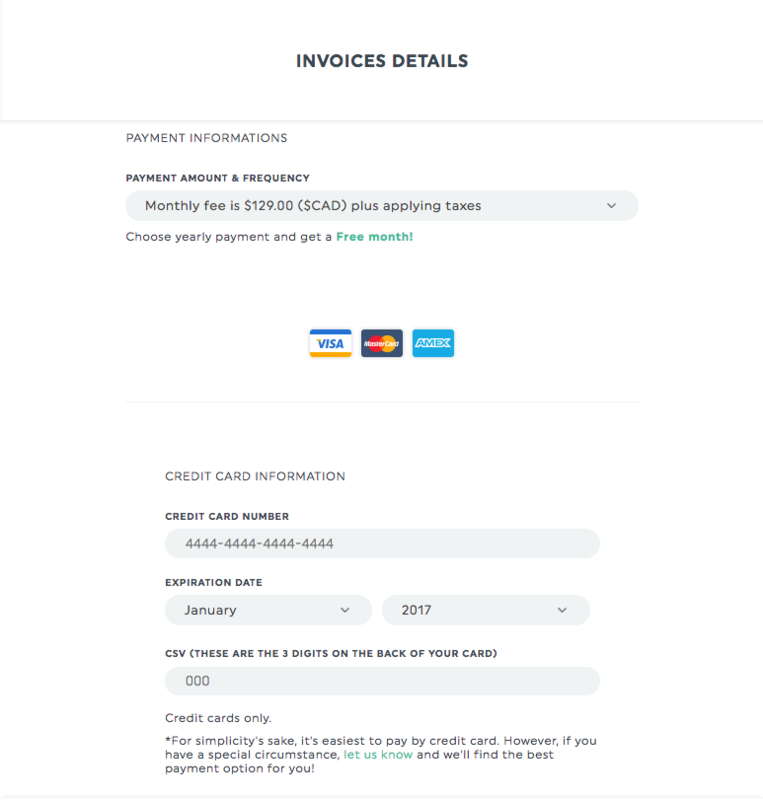 The second section shows the payment information, which is the payment amount and frequency. Please note that the system only accepts credit cards. If you face a specific problem with this payment method, just contact us: we’ll figure something out! 6- The third section is where you enter your credit card information. Once everything is completed, click “View Summary”. Is everything correct? If the answer is “yes”, you’re just one click away from entering the Dash-Family! Click “Process payment”! Welcome to your new reporting home! We’re gonna have a great time together! This entry was posted in Account. How to change the language and currency of an account? How does DashThis’ referral program work? 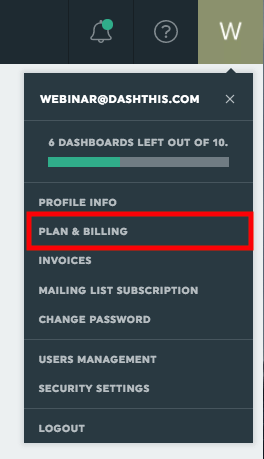 All you need to know about the Security Settings How to subscribe to DashThis? How to change the language and currency of an account? 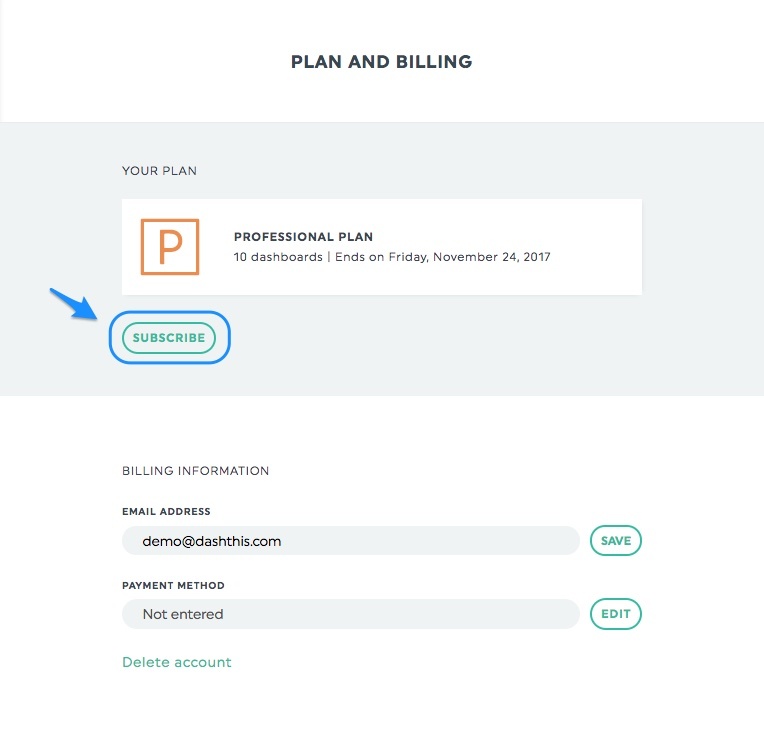 How to access plan and billing information? How to grant access to multiple users? How does DashThis handle security? How does the authentication API work for security? Why does an account not have a valid plan? How to change a plan at anytime? How to create a separate login for a client? Getting a “skipped payment” notice?